An accident which occured yesterday on Grasmere Road has left a three month old baby and a eight year old child injured. The accident happened when three cars collided into each other, each hitted each other from behind when the car travelling in front suddenly stopped. "The baby was not strapped in and was on her mother's lap when the collision occured, the baby suffered minor cuts and bruises," says ER24 spokesperson Derrick Banks. Both children were taken to the hospital, and Bank has said that people must realise the dangers of not strapping themselves and their children in. Another was injured in the accident when his head had gone through the windscreen but refused to go to the hospital. A 37 year old man from the Stellenbosch area has been arrested on charges of armed robbery, attempted murder and illegal possession of a fire arm and ammunition. The suspect’s arrests follows quick response by the police after the business had alerted them. The police found the suspect in Khayamandi with the exact amount of cash that was stolen at the business. The 37 year old man will appear in Stellenbosch Magistrate court on Monday. The Congress of South African Trade Unions (COSATU) is bitterly disappointed with this week’s report from Statistics South Africa that there was a net increase of just 197 000 jobs between March 2006 and March2007. “This is a dramatic slowdown from the average annual increase of 500 000 over each of the past three years,” says COSATU National spokesperson, Patrick Craven. Craven explains that while any increase in employment is to be welcomed, this figure comes nowhere near the rate at which jobs need to be created if we are to reach the target set by ASGI-SA and the 2003 Growth and Development Summit of halving unemployment by 2014. “Even conservative economists reckon that the economy would need to add 600 000 jobs a year to cut the unemployment rate to 14% by 2014,” says Craven. COSATU is also concerned that yet again the biggest increase in employment has been in the “tertiary” sector which created nearly half of the new jobs created between March and June 2007. “This is a sector with a very high level of casualisation of labour, suggesting that a growing percentage of the new jobs may be casual, temporary and low-paid forms of employment,” says Craven. Craven adds that COSATU reiterates its belief that unemployment must be treated as a national emergency and far more radical measures be taken to create new jobs, including those agreed by the conference. Good news for lottery players is that tickets will be on sale starting from the 05 October 2007 and the first draw will be on the 13 October 2007. Gidani has been announced as the new lotto operator. Its chairperson, Bongani Khumalo, has affirmed the company’s commitment to supporting South Africa’s economy and social development. “We are extremely excited about our appointment to the National Lottery and look forward to contributing meaningfully to the economy,” says Khumalo. Players who bought multi-draw tickets or entered subscriptions must cancel at a nearby Uthingo office where they can receive a refund. Khumalo added that in future Gidani is considering an introduction of new games. Trade union Solidarity’s Gender Committee says it condemns any violation of children’s rights. Researcher for Solidarity, Ilene Barry says the union welcomes the verdict given in a KwaZulu-Natal court earlier this week, in which a businessman was found guilty of employing child labour. “We welcome the outcome of the court decision in which a man was penalised with a prison sentence or a fine for using children to perform labour in South Africa,” says Barry. Ramraka Singh was sentenced to three years imprisonment or a fine of R10 000. The Department of Labour became aware of Singh’s illegal activities earlier this year and laid a charge with the police. “Child labour is a larger problem in South Africa than is generally assumed. It is heartening to see that South Africa is acting against this abuse of basic human rights,” says Barry. A 44-year old man has appeared in the Khayelitsha Magistrate Court on Thursday on charges relating to the dealing of the drug, Mandrax. “As a result of ongoing investigations into illegal drug activities, the Khayelitsha Police obtained information of alleged drug trafficking at a premise in W-section, Site-B,” says police spokesperson, Captain Elliot Sinyangana. Sinyangana adds that a search warrant was obtained and executed by members of the Khayelitsha police on Wednesday at the premises. “During the search police seized 1132 mandrax tablets (with an estimate street value of R30 000) that was found in a cupboard, and arrested the 44 year old owner,” says Sinyangana. The man is being held in custody at Pollsmoor Prison and the case has been postponed until next week Thursday for a bail application. “This operation forms part of our continuous policing efforts to combat illegal drug activities,” says Sinyangana. # The Alumni relations Office at the University of the Western Cape would like to invite all their alumni, friends, campus community and service providers to join them on Saturday , 20 October 2007, at the UWC Sports stadium form 12 in the afternoon till late. A donation of R50 per family of 4 will allow entry. This R50 includes a family braai pack and soft drinks. Proceeds of the event will go to towards the UWC Sports facility improvement on preparation or 2010. For enquiries contact 021 959 2627. # The Kirstenbosch Craft Market will be taking place on Sunday the 30th of September 2007 from 9-o-clock the morning until three-o-clock the afternoon at the Stone Cottage grounds at the corners of Kirstenbosch and Rhodes Drives at Newlands. For more information call 021 671 5468. # The St. Joseph’s Adult education Programme is looking for literacy facilitators for next year. The Programme is offering free literacy in the three dominant languages of the Western Cape. Classes are held on Saturdays from 9am until 1pm. To apply fax your CV’s to 021 686 9295. # Lyrical base projects will be having Every Saturday Poetry workshops at Langa Township’s Guga S’thebe community centre in Washington Street from 13:30 until 15:30 in the afternoon. The Lyrical base projects were established in 2006, where the mission was to empower both women and men through the art of language. If you have any information for the CIN team regarding events happening in your community, please feel free to contact us on 021 4485450 or fax us on 021 448 5451. 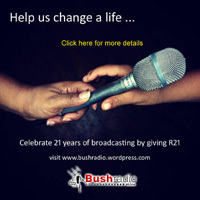 Alternatively you can email us on news@bushradio.co.za. If you have missed any of the numbers mentioned you can give us a call. Independent Democrats President, Patricia de Lille says that the speculation about why the Director of National Public Prosecutions, Vusi Pikoli was suspended could be reaching an end, now that everybody has heard that a warrant of arrest has been issued for Police Commissioner, Jackie Selebi. “The pieces of the puzzle are beginning to come together. In terms of the National Prosecuting Act, Vusi Pikoli, as the National Director of Public Prosecutions does not need to consult the Minister of Justice,” says De Lille. De Lille adds that if one of the reasons for his suspension is due to Pikoli discussing Selebi’s looming arrest with Mabandla, then the supposed inquiry must proceed, so that the reason for the ‘irretrievable breakdown’ of the relationship between Pikoli and Mabandla and what led up to it, can be known. “The National Prosecuting Authority has the right to prosecute anyone because we are all equal before the law, regardless of our status or position,” says De Lille. If you are a ratepayer of the City and have chosen to pay your rates annually, you are reminded that the due date for the payment of rates for the 2007/2008 financial year is 30 September 2007. “To avoid any interest charges, possible debt management and or legal action please ensure that your payment is received on time,“ says Trevor Blake from the City’s Finance Department. Blake explains that the City’s water and sanitation tariffs are consumption based and, as summer is approaching, (a time when water consumption normally increases) this may have a detrimental affect on your pocket. ”Also bear in mind that the new water by-laws place legal onus on water users not to waste, or be seen wasting water,” says Blake. As irrigation accounts, on average, for 60% of domestic water use, it may be wise to consider a more efficient irrigation system and or sinking or well-point or borehole. “If you are fortunate enough to have a pool, then fitting a cover can cut down water loss through evaporation,” says Blake. “I urge residents to be vigilant with their water use throughout summer,” says Director for Water and Sanitation, Sipho Mosai. He adds that higher water tariffs could result in penalising accounts if leaks are left unattended or water is wasted in any other way. The City Parks department says it found a solution for managing the rapid growth of grass and weeds in parks and sidewalks. They say it creates a dilemma for the department every year whether the areas should be mowed or the wild flowers should be left undisturbed for the enjoyment of residents. This year the challenge is believed to be far greater as a result of the extremely wet weather that hit the city during the past winter. The above average rainfall has caused prolific growth of all plants. "What the department has done, is they have identified certain areas where we’re going to leave the flowers and in certain areas it will be cut," says Felix Barends, manager of technical support of the City Parks department. The department has contracted external contractors to catch up on the backlog. "With this we hope to make the parks and sidewalks again tidy and properly maintained," says Barends. For concerns about uncut grass in parks and sidewalks, call 021 400 34 39. The African National Congress’s Parliamentary league says it rejects request by the Democratic Alliance and the African Christian Democratic Party for an inquiry into the suspension of the National Director of Public Prosecutions, Vusi Pikoli. “We reject the call by both the DA and ACDP, precisely because it disregards the letter and the spirit of the National Prosecuting Act which guides both the President and Parliament in this matter,” says ANC spokesperson Moloto Mothapo. He says President Thabo Mbeki has only acted in accordance with the Act of the NPA. “By calling on the Portfolio Committee on Justice to investigate the matter even before an inquiry has commenced would go against the fundamental provisions of the Act and undermine Parliament’s role,” says Mothapo. The chairperson of the Employment Equity Commission, Jimmy Manyi, has been given a red card on Wednesday at the Aardklop Arts Festival by Solidarity deputy general secretary, Dr Dirk Hermann; for his statement that South African workers will make Zimbabwe look like a Sunday school picnic. “He was also given a red card for calling black empowerment partners ‘house niggers’ who cover up the abuses of their white partners,” says Hermann. At a discussion of his book The Naked Emperor-Why affirmative action has failed, Hermann handed Manyi ten red cards for ten racial statements and practices that undermine the integrity of the Employment Equity Commission. “Manyi was also given a red card because he uses the Employment Equity Commission to promote the agenda of the Black Management Forum,” says Hermann. Hermann cautioned that Manyi is promoting his own elite interests through the Employment Equity Commission. Last night MEC for Local Government and Housing Richard Dyanti met the potential housing beneficiaries in Pelican Park. According to a press statement the meeting follows the promise made by the MEC on April 10, 2007 stating he would keep in contact with the community to update them on the progress made on the project. “Mama’s Project is a housing delivery project which included feuds generated by mistrust between those who have already moved into their houses and those still waiting,” says Vusi Tshose spokesperson for Local Government and Housing. The venue for the meeting was at the Buck Road Community Hall, Lotus River, and began at 6pm. The South African Municipal Worker’s Union (SAMWU) Greater Johannesburg Branch has served notice that its 10 000 members in the City and City Parks will go on strike from next Monday, 1st October 2007, onwards. “The union received the certificate of outcome last week declaring that the matter is unresolved and that SAMWU has the legal right to embark on a protected strike,” says Johannesburg Branch Secretary, Dumisani Langa. SAMWU has been trying for the past six years to negotiate solutions for many problems facing workers in Johannesburg but to no avail. “Last Friday the union held a meeting with the bosses in another attempt to come up with an agreement. However, although the bosses knew that SAMWU had served notice to strike, they claimed they didn’t have a mandate to negotiate,” says Langa. Some of the union’s demands include: equal pay for work of equal value, re-introduce the yearly notch increases, re-introduce free transport for workers to and from work on municipal buses. Two fire fighters from the Working on Fire (WOF) programme were killed and seven others seriously injures when the fire-fighting truck they were travelling in overturned near Mpumalanga. The fire fighters who are all from Rust de Winter were on their way to fight a veld fire near Loskop. “The general manager of Working on Fire John Heine has extended his regret and sympathies to the families of the two victims,” says WOF’s Evelyn John Holtzhausen. He has said that WOF and police are investigating the accident and measures will be taken to ensure a method of safer transport for fire figheters. The Treatment Action Campaign (TAC) is asking for a judicial investigation in to the alleged promotion and sales of the untested and unregistered Anti Retorol Viral, Virodene. The investigation should be about the involvement in the sales of the Presidency and the Health Minister, the involvement of private and public companies as well as legal steps which has to be taken against officials of the South African government, private citizens and organisations. The TAC says there is evidence that illegal and unethical experiments were conducted on people in Tanzania living with HIV/AIDS, with a toxic and unregistered substance named Virodene. "It is so toxic, it damages the liver and it is best used for the cleaning of permanent marks," says TAC leader Zackie Achmat. "The last ten years there has almost been free reign of the medicine laws being broken and people being allowed to sell anything they wish for a cure for any illness whether it’s diabetes, whether it’s obesity and whether it’s whatever. They have been allowed to sell cures for these things without there being any tests," Achmat said, addressing a gathering in the Cape Town CBD on Wednesday. The Public Prosecutor has received a request from the Democratic Alliance to investigate whether or not the Department of Health advertisements in a variety of newspapers last week ‘constitutes unauthorised, fruitless and wasteful expenditure in terms of the requirements of the Public Finance Management Act (PFMA)’. “The Public Protector has passed rules in our favour with the Provincial Department of Health of Gauteng, in this regard and we hoping he will do the same with the National Department,” says DA spokesperson Mike Waters. South Africa is facing “urgent health crisis”, including disintegration of public hospitals, HIV/Aids and XDR-TB and that money could have been spent on that instead on an advert that has basically no point. “We believe this money could have been better spent in upgrading hospitals in dire need of vital equipment and basic operating utensils,” says Waters. The African Christian Democratic Party (ACDP) has expressed their shock at the recent suspension of National Director of Public Prosecutions, Vusi Pikoli by President Thabo Mbeki. The suspension is allegedly due to the breakdown in Pikoli’s working relationship with Minister of Justice, Brigitte Mabandla. “We could understand if the suspension related to incompetence, incapacity or corruption. This is a very drastic step.” says ACDP spokesperson on Justice, Steve Swart. He adds that at the very least an inquiry should first have been done to see if there was a breakdown in the relationship and to see if there wasn’t some way of resolving the matter. “We believe that the suspension will no doubt affect the morale in the prosecuting authority, which we as South Africans can ill afford in view of the very high crime rate in our country and the very crucial role that prosecutors play in fighting crime,” says Swart. The ACDP will therefore call upon the parliamentary justice portfolio committee to urgently convene, and to receive a full briefing of what is the reason for this sudden suspension and what the background to this whole situation is. The director of the NDPP Vusi Pikoli, has been suspended with immediate effect by President Mbeki. The decision was taken because of the irretrievable break down in the working relationship between the Minister of Justice and the NDPP. "The President considers the relationship between the Minister and the NDPP central for the smooth functioning of the National Prosecuting Authority. The relationship breakdown also had adverse implications for the NPA and the functioning of the criminal justice system," says Government spokesman Themba Maseko. The functioning and the role of the NDPP will be investigated. For now, the President has appointed Deputy National Director Mokotedi Mpshe as National Director so the work of the NPA can continue unhindered. The Democratic Alliance has revealed an analysis of the amount of money that was spent by the national government on hotels, travel and restaurants. In all three categories, the amount spent has increased from last year. "Of the 26 national departments, 19 have responded to the DA’s questions. Across all 19 departments, a total of R1.28billion was spent in 2006/2007. R362m was spent on accommodation, R827m on travelling and R90m on food," says MP Motlatjo Thetjeng. This means that accommodation costs have increased by around 13% from 2005/2006. Travel costs have increased by around 26% and food costs by around 34%. "The DA will be submitting parliamentary questions to those departments with significant increases in spending to determine the reasons for the changes," says Thetjeng. Trade union Solidarity says they support statements by the Department of Trade and Industry speaking out against white South Africans being excluded from share schemes. “Solidarity is in favour of share schemes, where companies give of their own shares to employees, but these kinds of share schemes must be fairly implemented,” says Solidarity spokesperson Jaco Kleynhans. Kleynhans says Solidarity has worked towards non-racial employee deals for years and that they had large breakthroughs within the mining industry. “AngloGold Ashanti has announced a R1, 1 billion non-racial share ownership plan, and Anglo Platinum one valued at R3, 3 billion. During the recent wage negotiations in the metal and engineering industry, Solidarity also agreed on the principle of non-racial share ownership plans,” says Kleynhans. President Thabo Mbeki was invited to the New York Stock Exchange by its CEO John Thrain showing its confidence in the South African economy. “President Thabo Mbeki will on Wednesday 26 September 2007 pay a historic visit to the New York Stock Exchange where he is expected to ring the bell as part of the tradition in the Stock Exchange to mark the closing of the day’s trading activities,” said Foreign Affairs spokesperson Ronnie Mamoepa. President Mbeki is currently in New York where he will lead a high-powered delegation to the 62nd Session of the UN General Assembly including Ministers Trevor Manuel and Marthinus van Schalkwyk. While at the Stock Exchange, President Mbeki will have the opportunity to visit Telkom’s trading post too. United Democratic Movement Leader Bantu Holomisa has raised concern of suspicion to the suspension of National Prosecuting Authority Head Vusi Pikoli. Holomisa said that is highly suspicious that on the eve of Pikoli who was on the verge of making vital decisions on the Arms deal involving ANC deputy president Jacob Zuma, TRC related prosecutions and the Brett Kebble murder to be relieved of his duties. “How on earth can President Mbeki make such a decision when vital decisions need to be taken and cloud it with a lack of communication between the President and Pikoli,” says Holomisa. The party leader has said that President Mbeki must explain how he can remove a person who needs to make important decision and then cite flimsy reasons. A bus travelling from Cape Town to the Eastern Cape made a tragic turn when it apparently rolled 11 kilometres from Leeu-Gamka in the Karoo. It is believed there were 33 passengers on the bus at the time of the accident, causing the death of 12 people. The African National Congress expressed their condolences to the families of the victims of which four were children who died during the accident. “The ANC expresses its deepest condolences to the bereaved families who lost their loved ones in the accident. We call on the provincial government to ensure plans for road safety education and compliance, especially as the Christmas holiday period draws near,” says ANC Provincial Secretary Mcebisi Skwatsha. A group of 23 tourists nearly drowned when they were pulled into sea by a strong rip current at Noordhoek beach in the Western Cape. “It was determined that they are a group of 23 people from Europe and South Africa on a gap year tour, 12 of them had been wading in the surf at Noordhoek beach when strong rip currents began pulling them into sea,” says National Sea Rescue Institute spokesperson Craig Lambinon. Three of the 12 were caught more severely and were swept out to sea as the waves drew them towards Chapman’s Peak Drive, while the remaining nine got back to the beach safely. “Three men who were walking along the beach swam out to rescue the three who were being swept out to sea. The NSRI and Emergency Medical Services commend the three men for their sterling rescue effort,” says Lambinon. Lambinon added that the 12 tourists who are all from the United Kingdom, only suffered from minor cuts caused by the rocks as well as hypothermia. Two Cape Town brothers were burnt to death on Sunday when their shack caught alight in an informal settlement in Muizenberg. “Police and the fire department were on the scene and the fire was extinguished,“ says police spokesperson, Inspector Bernadine Steyn. Steyn explains that the cause of the fire is being investigated and an inquest docket has been opened. The two brothers are aged 28 and 29. This incident comes just after two children were burnt beyond recognition in the Eastern Cape on Saturday when the hut they were sleeping in caught fire while their mother was out. The Department of Transport stated in a recent reply to a parliamentary question that in the period 1 August 2006 to 31 July 2007, 182 fatal minibus accidents occurred on South African roads, killing 215 people. The Democratic Alliance says that the department could not furnish the number of crashes that did not lead to fatalities, nor the number of people injured in taxi accidents. “By far the greatest number of the fatal accidents, 49, occurred in Limpopo Province, with KwaZulu-Natal and Gauteng experiencing 39 and 32 accidents respectively,“ says DA spokesperson on Transport, Stuart Farrow. However the DA undertook a casual study of the Independent Online website to establish what the rough number of people injured in taxi accidents was. “By going through media reports of minibus taxi accidents, during the same period as that in the Department of Transport’s reply, we were able to acquire a rough estimate of the extent of the carnage on our roads,” says Farrow. Farrow adds that they discovered that around 1100 people were reported injured in minibus taxis over the time frame as the above mentioned. “The Department of Transport is yet to provide a solution to this crisis, apart from the practically insolvent Road Accident Fund, which only treats the symptoms of road accidents, not the causes,” says Farrow. Farrow adds that it is time that action is taken to ensure that people can go about their lives without wondering if the next taxi ride will be their last. On Saturday Bishop Lavis police conducted a search operation after receiving information regarding ammunition that was hidden at a house in Bishop Lavis. “With the permission of the owner of the house in Bishop Lavis, police searched the premises and found ammunition wrapped in a black bag buried in the yard,” says police spokesperson, Captain Elliot Sinyangana. Police found the following items: a hunting rifle, shotgun, silencer, bullet proof jacket, 714 rounds of various calibre ammunition, 500 grams of propellant and a device to load the propellant. “Based on further investigations by police, it’s been established that the owner of the house is not involved in the crime,” says Sinyangana. Sinyangana adds that the aim of their investigation is to establish the circumstances and linking anyone to the illegal firearm ammunitions and other items that were found. In total, nationally, the National Sea Rescue Institute has responded to eight incidents over the weekend. The two most serious incidents being a yacht that sunk off the Umgeni River on Saturday, and a helicopter carrying three people that crashed into a farm dam on Sunday. “All four people were rescued by vessels that were in the area at the time. All three people on board the helicopter have survived the crash,” says NSRI spokesperson, Craig Lambinon. No other fatalities took place, other than that of a 14 year-old youth on a school tour, who drowned in Richards Bay. “Most of the other incidents, involving NSRI searches, which took place over the weekend, were false alarms,” says Lambinon. The purpose of the march that took place on Saturday in the North West by the Congress of South African Trade Unions (COSATU) was to hand over a memorandum of demands to the Department of Land and Agriculture, Safety and Security; and Labour. “The memorandum that we handed over, deals with issues affecting the poor farm workers, example unfair labour practice, killing of farm workers and their families by wild animals, evictions of farm workers, including victimisation and racism,” says Provincial secretary of COSATU North West, Solly Phetoe. Even though 5000 workers were expected, only a few workers arrived for the handing over of the memorandum at the Mafikeng Police station. “We demanding from the department of Safety and Security that all cases that were reported by farm workers, in relation to the assault and killing of farm workers either by farmers or will animals, must be re-opened and re-investigated,” says Phetoe. Phetoe adds that the two cases where farm workers were killed by lions should be re-opened. They also demand that those who are implicated should be convicted. The National Council of Provinces (NCOP) has approved a Bill that will grant Health MEC’s the authority to approve institutions that can carry out the termination of pregnancies in the province. “On 20 September 2007 all nine provinces in the NCOP voted in favour of the Choice on Termination of Pregnancy Amendment Bill that will empower MEC’s in the provinces to approve health institutions that can terminate pregnancies,” says Head of Public Affairs, Luzuko Jacobs. The new Bill will also allow facilities (public and private) that have a 24-hour maternity service to terminate pregnancies of up to 12 weeks without approval from the MEC. “It also makes it an offence for any person to terminate or allow termination of pregnancy in a facility which has not been approved. Only registered midwives and nurses, who have undergone prescribed training, will be allowed to perform termination of pregnancies,” says Jacobs. The Bill was initially passed by Houses of Parliament, NCOP and National Assembly in 2004, but the Constitutional Court struck it down last year following an application by Doctors for Life International. “Parliament re-introduced the Bill in the NCOP as the first House. The NCOP on 20 September 2007 passed the Bill, with all 9 provinces voting in favour of its adoption,” says Jacobs. The Bill has now been referred to the National Assembly for concurrence. Early Friday afternoon yet another cash in transit heist occurred in Constantia. “A security vehicle was traveling on the M3 road and when they took the Constantia turn off they were rammed from the side by a maroon BMW vehicle,” says police spokesperson Bernadine Steyn. Steyn says that the BMW, as well as a white Opel Corsa bakkie stopped and eight armed suspects got out of the vehicle. “They held the three security officials at gunpoint and robbed them of their firearms as well as three cash boxes containing an undisclosed amount of money,” says Steyn. The suspects fled the seen and drove to a nearby sports field where they left their vehicles, and left in a red Polo Classic as well as a white panel van in the direction of Wynberg. “Nobody sustained serious injuries during the incident and no shots were fired. Follow-up investigations indicate that both the abandoned vehicles were not reported stolen,” says Steyn. Police says all suspects are still at large and anyone with information should contact the Diepriver police station on 021 710 7306. Joe Slovo squatters and government are heading to the courts and the residents of the settlement are ready to fight in more than one way. The squatters of the settlement are considering combining protests and legal action to oppose a court order obtained by the Department of Housing and the N2 Gateway contractor, Thubelisha to move the residents to Delft in order for further development of the housing project to take place. The squatters said they were determined to stay in the area and have no intention of moving. “Right now we are negotiating with our lawyers and on Tuesday we will have a definite answer on what we are going to do,” says Mzwanele Zulu the spokesperson for the Joe Slovo Task Team. The Congress of South African Trade Unions will march on Saturday to hand over a memorandum to highlight concerns of poor farm workers. “We came across a number of cases that were reported to the police. Mainly the assault, the killing of farm workers by lions and the farm workers abuse evictions and matters that relate to the labour relation issues,” says COSATU Provincial Secretary Solly Phetoe. The memorandum will be handed over to the Department of Land and Agriculture, Safety and Security and Labour. Farm workers participating in the march will ask that all cases which have been reported to the police including the murder of former member of the South African Communist Party Chris Hani be reopened. “We will also include a demand of the arrest of the farmer whose ten lions mutilated a young boy,” says Phetoe. The march will start at 10am from the crossing taxi rank to the Mafikeng police station, in the North West province. Advertisement was placed in the several papers including Business Day, The Cape Times, and the Mercury by the Health Department today. The Advert defends Minister Manto Tshabalala-Msimang and criticises the judgement made by Judge Jajbhay in the Departments case against the Sunday Times. “We feel this is a total abuse of tax payer’s money. The DA questions why the Department of Health is spending tax payer’s money defending the Health Minister. Langenhoven Gymnasium faced an allegation of a racist incident at the school earlier this year, involving a fight between two boys, which was recorded on a cellphone camera. The Western Cape Education Department, Deputy Director John Lyners investigated the incident which the Human Rights Commission (HRC) observed. “It’s clear that in terms of the main findings that the actual incident itself wasn’t necessarily motivated,” spokesperson for the MEC of Education, Gert Witbooi. He adds that although the fight involved learners of two different races, both the school and the MEC agree that perhaps they should do more in terms of the organisational culture and diversity management at schools. “The school acknowledges that because of shortcomings and in terms of management and communication practices, that may have led to perceptions of racism,” Witbooi. The Education MEC Cameron Dugmore will initiate the process involving all the schools in Oudtshoorn and in other areas. Dumore says ait is clear that more needs to be done in terms of cultural and racial diversity management. Langenhoven Gymnasium has agreed to be an active participant in this process. The Western Province Blood Transfusion Service (WPBTS) will have a special blood donation clinic planned for the long weekend, to give the organisation’s supplies a boost. The boost is necessary since colds and the flu are keeping away many regular donors from donating. Also, the blood usage has increased which made it difficult for the WPBTS to stay on target. The clinic will take place on Saturday the 22nd of September at the Cavendish shopping centre and the lower ground event room, between 10am and 2.15pm. "Donors are more then welcome to attend. They must be older than 17years, weigh more than 50kg and live a save and healthy lifestyle. They must also remember to eat before attending the clinic," says Lynn Erasmus of the WPBTS. The Parow Polce arrested a 40-year-old suspect this morning in connection with the abduction of the 6-year-old boy earlier this week. The man was arrested in Binder Street, Parow East and will appear in the Bishop Lavis Magistrate court soon. The police had launched a search for 40-year-old Vernon Jacobs (pictured on the right who was believed to be able to assist the police in the investigation of the boy. “On the said day, the 6-year-old boy was playing in the street in front of his grandmother’s house in Camelia Street, Bonteheuwel. His grandmother noticed that the child was missing at about 17h00 and contacted the boy’s father,” says police spokesperson Bernadine Steyn. Steyn says eyewitnesses saw a man walking down the road with the little boy at 12 the afternoon. “The same day, at about 20:00 the mother received a written not at her house in Appelliefie Street, Mitchells Plain, saying that she must go to a nearby school and bring cash in exchange of the child,” says Steyn. The boy was found by police Tuesday night in hospital in a stable condition with numerous injuries to his head. It is believed the injuries might have been inflicted with a blunt object. “We have launched a search for the suspect and the investigation into what happened continues,” says Steyn. Anyone with information should contact Crime Stop on 08600 10111. The Anti-War Coalition has condemned the government efforts to evict residents of Joe Slovo community into the Delft area. The Coalition has vowed to support the residents in their appeal for better service delivery. The residents of Joe Slovo protested two weeks ago when they blocked the N2 highway and this led to authorities retaliating violently showering the residents with rubber bullets. “The government has an obligation to provide them with adequate housing close to the places of work, their own freedom charter claims that slums shall be demolished, not slums thrown to the outskirts of the city,” says The Cape Town Ant-War Coalition’s Shaheed Mohamed. The N2 gateway offers only housing to 1000 families while there are currently 6000 families currently residing in the Joe Slovo Settlement. The shipping line Safmarine has donated two 12 metre shipping containers to the Lehlohonolo Public School from Nyanga East, Gugulethu. The containers will be used as pottery classroom. The school is excited that they can add this new thing to the school’s curriculum. "Not only do pottery lessons inspire and enable our learners to create beautiful objects, but they also teach them about the relationship between technology, manufacturing and the economy by providing first-hand experience of the link between the market demand for goods and the skills required to meet that demand," says school principal Maropeng Zantsi. Safmarine sees the containers as an important part of their contribution to the community. They will donate many second-hand containers for educational projects in communities in South Africa. 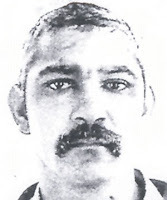 Police are searching for Anthony Aston, who went missing on September 12, from his family home in Bonteheuwel. 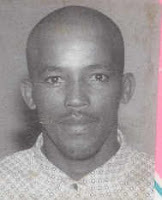 Aston, aged 40 disappeared from his home at Braambos street. No-one was able to say what he was wearing at the time he went missing. The National African Federated Chamber of Commerce (NAFCOC), will hosts its annual conference and annual general meeting at the International Convention Centre in Durban, from the 3rd to the 5th of October 2007. “This is a continuation of the theme launched at NAFCOC’s AGM in 2005, to create 100 000 SMMEs each year,” says NAFCOC’s first female president and former secretary general, Buhle Mthethwa. Mthethwa explains that she will be focusing their resources on different strategic interventions that will bear real results and deliver value for their members. “We remain committed and focused on the economy’s imperative to create employment through SMME development, and this goal can be accomplished by increasing the number of enterprises,” says Mthethwa. The theme of the conference is “unleashing the power of entrepreneurship through co-operatives and SMMEs”. The Independent Democrats has been announced as the fourth biggest political party, a day after the third floor crossing results was released. However the results of the recent floor crossing made public by the Independent Electoral Commission (IEC) on Wednesday also indicated that the ID was one of the three political parties with the biggest loss of members. “In comparison with the ID’s 17% reduction, which still leaves us with 130 councillors nationally, is proof that we have cemented our powerful place in South Africa’s political spectrum,” says ID General Secretary Hanniff Hoosen. He says the ID would like to bring to the attention of South Africans that 13 councillors and one Member of Parliament nationally crossed over to their party. “The ID does not believe that this reduction is a reflection of our support on the ground. If this was the case, there would be no need for elections,” Hoosen. A cash in transit heist took place today when a security vehicle transporting cash was robbed. The securty vehicle was on its way to Blackheath Industrial area, when a white BMW car slammed into the front side and forced the security vehicle to a standstil. According to information received on the scene another motor vehicle a VW Jetta vehicle with at least five male occupants stopped next to the security vehicle and held up the security officials at gunpoint. ‘One of the security officials sustained head injuries as a result of the impact of the collision. The robbers allegedly used an angle grinder to open the back door of the cash van and took the cash boxes,’ said Police inspector Bernadine Steyn. The suspects are still at large, and police have opened a case of armed robbery. The Independent Democratic General-Secretary Haniff Hoosen says the ID has come out from the recent floor crossing window period and is still the 4th biggest party in the country. “Our analysis of the floor-crossing results from the IEC today shows that the UCDP lost 20% of its councillor caucus across the country, the PAC lost 41% the UIF 54% and Nadeco91%,” says Mr Hoosen. The ID had a 17% reduction and leaves them with 130 councillors nationally. They also feel that this decrease is not an indication of their support on the ground. An investigation conducted by police has led to an arrest on Wednesday morning of ten suspects in connection with a murder that occurred over the weekend in Cite C, Cape Town. “On Sunday morning the bodies of two men were found between informal settlements,” says police spokesperson, Inspector Bernadine Steyn. The deceased Zola Mgqatsa and Soyiso Ntmekwana, who are both from Cite C, had several open wounds to their heads and bodies. Wooden sticks and stones were found near the bodies. “The suspects, aged between 21 and 46, are expected to appear in the Khayelitsha Magistrates Court on Friday,” says Steyn. The motive for the incident is being investigated. Early Wednesday morning the National Sea Rescue Institute (NSRI) received a distress call regarding a fishing deck boat that was sinking between Mossel Bay and Wilderness, with five of its crew members on board. “It was confirmed from the fishing vessel that they had rescued all five crew who were all reported to be safe,” says NSRI spokesperson Craig Lambinon. The fishing vessel called Bounty was in the area at the time the distress call was made and could respond swiftly to help. “All five crew were brought to Mossel Bay harbour arriving here at 05h30 this morning. The vessel took water causing it to sink and the cause of the vessel taking on water has not been determined,” says Lambinon. The Minister of Environmental Affairs and Tourism, Marthinus van Schalkwyk will officially take delivery of and name the new research vessel, namely Ellen Khuzwayo, on Thursday. “The delivery of the new state of the art vessel comes at a time when fish stocks are declining globally,” says spokesperson for Environmental Affairs and Tourism, Mava Scott. The declining of stock is due to various reasons, one of them being the change in environmental conditions. “The vessel will play a key role in gathering scientific research on inshore marine resources and the marine environment,” says Scott. The Annual Survey of Trade Unions Rights Violations has revealed in a 379 page report that 144 trade unionists in 2006 were murdered while defending workers rights, 800 endured being beaten and tortured. The report was published by the International Trade Union Confederation (ITUC) which researched the violations on a global scale. “Workers seeking to better their lives through trade union activities are facing rising levels of repression and intimidation in an increasing number of countries,” says the ITUC General Secretary Guy Ryder. Muti murders are a growing concern and labels for traditional medicines. The African Christian Democratic Party is concerned at the number of muti-murders and the continued reports of body parts for secret traditional medicines. "Prosecution, carrying the heaviest sentences for offenders, is required to eradicate this barbaric practice," says Cheryllyn Dudley. According to Dudley, of all crimes this one deserves the death sentence since it involves cold-blooded, pre-meditated murder and mutilation of people for commercial gain. "Doctors for Life and other medical practitioners in their position on traditional medicines urge that traditional mixtures should have ingredient labels," says Dudley. Dudley explains that the Traditional Health Practitioners Bill might include a clause making it compulsory for these mixtures to have labels. At least 42 babies had been infected in state hospitals. The Democrat Alliance is concerned about the Department of Health’s denial regarding the infection of babies with HIV. “If one can recall when the state hospital hit the newspapers the minister immediately appointed a task team to investigate the allegations and one would have expected her, given the seriousness, to do the same immediately,” says DA’s Mike Waters. According to the DA, the department at least shows action with other health issues, but with issues such as Aids it turns a blind eye. “We believe that there needs to be a proper investigation into this matter to see how many babies have been infected with HIV and also what actions can be taken to help the families who now have a child who is HIV positive,” says Waters . The Health Director General Sibani Mngadi has requested the hospitals to submit the implementation of an infection control plan. The control and security systems at the Langa sewage pump station will be upgraded by the City of Cape Town. This has to stop the sewage contamination of the Elsieskraal Rivier. "Extensive vandalism of the control equipment over the past year has contributed to the sewage spillage, but that was not the only contributing factor," says Pinelands subcouncil chairperson Brian Watkyns. "The northern areas sewer was constructed in 1951 and needs to be upgraded." The station serves thousands of households in Athlone, Bridgetown, Pinelands, Langa and parts of Parow. Due to the limitation of the northern areas sewer, detrimental conditions such as excess stormwater, would come into the system and faulty pump station controls will result in sewage spillage. The Council had approved the funding for the Langa repairing. All the preliminary work such as design, drawings and tender documentation to upgrade the northern sewer has been completed. When everything is fixed, the sewage contamination will be stopped. "A proper functioning sanitation system is essential for human life, health and economic development," says Watkyns. A taxi driver was shot last night in his front door when he was attacked by four suspects. According to a witness four men approached the house on foot, one suspect waited in the street while three suspects went to the front door, the victim wrestled in the yard during which the suspect allegedly fired a single shot at the 43 year old victim. “The 43 year old was wounded in the chest and is currently in a stable condition in hospital. All four suspect fled the scene on foot and are still at large,” Inspector Bernadine Steyn from the South African Police Service. The Police are currently investigating a case of Attempted Murder and anyone with information can contact Constable Egan Knoop at the Delft Police Station on 021 954 9000. A 42-year-old father was arrested by the police in connection with the murder of his 16-year-old daughter early Monday night. It is alleged that the murder occurred at the house in Norwood, Elsies River at 17:30. The father and his daughter were alone at home when an argument occurred between them in her bedroom. The suspect allegedly assaulted the victum in her face after which she was strangled. She died on the scene. The was arrested at a house near his residence and is expected to appear in the Goodwood Magistrate’s Court on Thursday. The Minister of Environmental Affairs and Tourism, Marthinus Van Schalkwyk, on Monday published in the government gazette, the draft Alien and Invasive Species regulations for public comment in terms of Section 100, of the National Environmental Management Biodiversity Act. “This section requires the Minister to consult the stakeholders so that they can give their input on the regulation,” says spokesperson for Environmental Affairs and Tourism Mava Scott. In this instance people have until 15 October 2007 to comment on these regulations. “The regulations deal with the issue of exempted alien species, prohibited alien species and invasive species,” says Scott. In certain instances permits are required for these species. Three men have appeared in the Stellenbosch Magistrate’s court on Monday on charges of the attempted murder and robbery of the Deputy Mayor of Stellenbosch. “The men were taken in for questioning on Friday morning after detectives followed up on information obtained through investigation. The men were formally arrested and charged on Sunday,” says police spokesperson Randall Stoffels. The 35-year-old Deputy Mayor was shot in his left ankle in front of his house in Khayamandi near Stellenbosch in August this year. The Congress of South African Trade Unions is planning to protest against the Provincial Government for their decisions to introduce a fuel levyiIn the Western Cape. The fuel levy amounts to a 2,5% increase of the existing rate that inflation had increased since February 2006. Especially the poor will be hit the hardest as the increase in inflation on petrol translates into food and public transport that will become more expensive. The increase would be on top of the increases of maize, bread, milk, meat and transport. In the near future, electricity will be more expensive as well, COSATU says. The money gained from the levy, would be used to finance roads and tourism projects. COSATU says the levy is against the wishes of society. In the past five years, the poverty and inequality levels of poorer communities in the Western Cape have grown. COSATU says that the government should consider taxes that would let the wealthier communities pay more taxes. Trade Union Federation COSATU, held a meeting on Sunday. They will be mobilising for the strike action against the Western Cape Government. Trade union federation COSATU has applied for a court interdict to stop the Health Department closing 60 beds at Groote Schuur hospital as of Monday. The beds being closed follow the announcement by MEC for Health Pierre Uys of a R30 million decrease in the budgets of Groote Schuur and Tygerberg hospitals. As soon as patients who are currently occupying the beds to be closed are discharged, no new patient will be admitted to those beds. COSATU says they will meet with their lawyers. They plan to file the interdict within the next two days. “COSATU is concerned that the attempts by government to cut public hospital expenditure will lead to a decline in services for working families,” says COSATU regional secretary Tony Ehrenreich. “We believe the government is being intensely insensitive to poor people’s needs, thus we believe that a court interdict is the only way to make sure we restore effective public education in the Western Cape,” says Ehrenreich. Molly Fabe on 021 448 0817 or 083 265 7490. Market day on the 21st of September. It will take place at Rosebank College No. Bronwyn April on 021 425 2084.
celebration of the Healthy Future African Renaissance Festival. #September is Heart Awareness Month and the Heart and Stroke Foundation SA will be offering free blood pressure screenings at Goodwood Mall on Tuesday, 25 September from 9:30 am until 14:30 pm and entrance is free of charge, for more information contact Megan Nichols on 021 447 4222. In early March this year the provincial cabinet has endorsed the decision to place the Oudtshoorn municipality under the administration. “The province is going to appoint an administrator that is going to assist that municipality for a period of six months, which is expiring on the 18 September 2007,” says spokesperson for Local Government and Housing Vusi Tshose. As part of those responsibilities, the administrator Louis Scheepers, will be responsible for all the decisions made regarding the municipality. “That simply means that the councillors in the forms of mayors and other councillors, as well as the administration of the municipalities, did not have any responsibility in terms of decision making, but supporting the administrator,” says Tshose. All decision making powers will be given back to the council as well as the administration, but under the watchful eye of somebody that the province will nominate to go and assist the municipality for the next six months to come. On Sunday afternoon police received a report of a person missing between Saunders Rocks and Queens Beach, Bantry Bay. “On arrival at scene the SAPS found colleagues of a 23 year old female teacher from Rondebult Secondry School, in Johannesburg, who went missing,” says National Sea Rescue Institute spokesperson Craig Lambinon. The colleagues reported that they saw her last when she was taking photographs from the rocks on the edge of the shore. The police arrived and contacted the NSRI control, the Police Dive Unit and the Metro Ambulance and Rescue Services, assuming the female had washed away into the sea or may have fallen into the sea. “While they were contacting the rescue authorities the body of the female was found washing through the surf onto the beach,” says Lambinon. The police immediately called a local metro paramedic, who declared the female dead on the scene. Two men are to appear in the Wynberg Magistrates Court on Monday for the murder of 32-year-old police constable, Thembisa Ntlatywa, who was shot and robbed of her service pistol in front of a food take-away in Gugulethu earlier this month. “Two men were taken in for questioning over the weekend after detectives followed-up on information obtained through investigation,” says police spokesperson, Superintendent Billy Jones. The men were formally arrested and charged late on Sunday night. “A 9mm firearm, with its serial number filed off, was also seized. The firearm will be sent to the forensics unit to establish whether it is the police issued firearm,” says Jones. The suspects are facing charges of murder and robbery. The two men are aged 20 and 22 years-old and are both from Brown’s Farm, Nyanga. United Democratic Movement Member of Parliament Bantu Holomisa, is calling for the whole SABC Board selection to be scrapped as the ANC Headquarters are enforcing a Parliamentary Caucus decision to pick their preferred candidates for the SABC board. "What should be a public broadcaster has for several years now been systematically steered back onto the path of state broadcaster and ruling party mouthpiece. This is a direct and undeniable threat to democracy because of the wide and powerful reach of SABC media platforms," says Bantu Holomisa. The UDM says it wants the process to be scrapped so they can start afresh again. The Constitution demands that the Parliament chooses the SABC Board as the legitimate representatives of the people. "One can only assume that it is the faction that is currently in power in the ANC who are desperately trying to cling to that power and hence engaging in these outrageous manoeuvres," says Holomisa. The 14 members of the Chicanos and Olifistas who is allegedly responsible for the murder of a teenager at his family home in the presence of his parents in Langa are due to appear in the Bishop Lavis Court on Monday. “Eight of the suspects belong to the Olifistas gang and the remaining six to the Chicanos gang. The incidents started when apparently on the 8th of September a member of the Olifistas was murdered and they believe that Chicanos was responsible for it hence the revenge attack,” says police spokesperson Elliot Siyangana. On Monday a group of young men visited the home of the teenager and then brutally attacked him, he was left unconscious. “Apparently the father took his son to the Day hospital for medical attention where he was declared dead on arrival,” says Siyangana. The suspects ages range from 16 to 18 years and the investigation continues. Anyone with information should contact Detective Thembisile Matinise on 021 695 8000 or Crime Stop on 08600 10111. The swimming pool in Washington Street, Langa will get R250 000 facelift before opening for the summer season. Councillor Brian Watkyns raised questioned about the unacceptable conditions at the municipal swimming pool. Now the City will seal the swimming pool walls, provide brick paving around the pool and install facilities for the disabled. Also, the pool’s water filtering system has been fixed and the budget provides for the lawns around the pool to be mowed once a month. "These upgrades are part of our commitment to render equal services to all our communities, and its hoped that this pool will become the benchmark for other municipal pools instead of being one that we are ashamed of," says Councillor Watkyns. Because the refurbishment can only start in October during drier weather, the pool will open a month later than the other municipal pools. Sunday the 16th of September has been declared International Day for the Protection of the Ozone Layer. This is to honour the day the Montreal Protocol was signed for the first time. South Africa became a member of the treaty in January 1990. The agreement was put in place merely to control the production and the use of ozone-depleting substances. This year is the 20th anniversary of the protocol and delegates from different countries are to meet in Montreal to reflect on the development that has taken place thus far. On Saturday morning a request for medical assistance was sent to the South African Airforce and the National Sea Rescue Institute from the fishing boat Wulan. It is believed that the captain of the Taiwanese ship was suffering from neck and head stab wounds after allegedly being stabbed by a fellow crewman. “The vessel was in deep ocean at the time and was requested to sail closer towards Durban. “On arrival on the scene, the patient was found conscious and already bandaged by his fellow crew, but he was in shock. He was stabilised on board the vessel before being hoisted into the helicopter,” says NSRI Durban Station Commander, Paul Bevis. Bevis added that due to communication barriers the captain’s name and age could not be determined. During the budget speech made by the Western Cape MEC for Local Government and Housing, Richard Dyantyi in June this year, Dyantyi committed his department to the improvement of poorly built houses. The rectification of houses is a national housing programme that aims to correct defects in terms of municipal services. This programme is intended for houses which were delivered from the March 15, 1994 until March 31, 2002. The National Home Builders Registration Council was asked to conduct a review of all units within the Heideveld, Pylon, Railway, Newfields, Luyoloville, Phillipi, Woodridge, Mannenberg and Town Centre. Engagements with all the affected communities as well as the stakeholders have already started. “The MEC will meet with the leadership and community of Newfields in Hanover Park regarding this programme,” says Dyantyi’s spokesperson Vusi Tshose. The meeting will take place today at 3pm at the Lansport Community Centre, Lansport Road, Newfields. The Democratic Alliance says it welcomes the Pretoria High Court’s decision to decline a bid by the former deputy President of South Africa, Jacob Zuma to stop the state from investigating his business activities in Britain. “Mr Zuma and his very expensive legal team, who seem to shadow him around the country, must not further attempt to obstruct, delay and resist the investigations by the state,” says DA spokesperson Eddie Trent. Trent says Zuma has repeatedly made public statements that a legal proceeding will acquit him from all suspicions of corruption. “The DA now challenges Mr Zuma to do everything in his power to provide the state with the information they need in order for this case which has been ongoing for more than two years to reach its conclusion in court sooner rather than later,” says Trent. Cape Town is celebrating the final 1000 days before the Fifa 2010 Soccer World Cup today with a Youth Street Soccer tournament at the Grand Parade. The City of Cape Town, in partnership with the central Improvement District is expecting thousands of people. A total of 26 teams from across Cape Town metropolitan areas are taking part and the matches will each last 15 minutes. The Grand Parade will be formed into a sports arena with playing courts, pavilions for spectators, an entertainment stage, as well as a dedicated area for children with jumping castles and other activities. Cricket South Africa’s six franchises will get the chance to compete for a $2 million first prize in a new Twenty20 Champions League international tournament which will begin next year. “The tournament will feature the two top domestic Twenty20 teams from South Africa, Australia, India and England,” says Media officer for Cricket South Africa, Michael Owen- Smith. In South Africa’s case, this will be the finalists in the Standard Bank Pro20 tournament. “This is going to be a massive boost for the six franchises competing in our domestic Standard Bank Pro20 competition,” says Cricket South Africa’s CEO, Gerald Majola. Majola adds that the Standard Bank Pro20 competition already attracts record crowds and this added incentive, is going to increase the excitement even more. “It will also give franchise fans the chance of supporting their favourite teams in the international arena,” says Majola. Majola explains that local players will also get the opportunity of playing international Twenty20 cricket against the best in the world and this will assist them in widening the pool of players capable of competing successfully at international level. “This new Champions League is a clear indication that pro20 cricket has been well received, an assurance that our investment has been a very worthwhile one,” says Director of Group Sponsorships Standard Bank, Marius Vorster. The first Champions Twenty20 League is due to start in October 2008, with the eight competing teams divided in pools. Teams will play a round robin before the top two from each pool progress to the semi-final stage. The venues are yet to be confirmed. The strike action at Consolidated Murchuson (Consmurch) mine in Gravelot, enters its fifth week. The undecided management put deaf ears over the workers. Consmurch employs over 1200 mineworkers and produces antimony with gold as a by-product. The National Union of Mineworkers (NUM) intervened on behalf of the striking workers. But as the management doesn’t want to talk, there haven’t been any negotiations. Mineworkers vowed that the mine will either be ‘paradise’ or ‘Iraq’ depending on management’s responses. The NUM condemns the inaction of management as well as their intransigence in dealing with worker demands. "The employer wants to increase the living-out allowance with a meagre R50 from R300 and workers want something higer than that," says Onis Serothoane, the NUM’s co-ordinator in North-East region. "Management refuses to show up because they have ulterior motives and we will increase the heat over them." Defiant Democratic Alliance Leader Helen Zille will march yet again on Sunday in the community of Atlantis, despite being arrested on Sunday evening after a protest march which took place in Mitchells Plain. On Sunday the 16th of September Zille and members of the community of Atlantis will march protesting against drugs and crime. “The leader of the Democratic Alliance will march addressing the serious problem of drugs and crime affecting our country, she will be joined by the community of Atlantis and permission was granted meaning the protest is legal,” said DA spokesperson Martin Slabbert. The department for Local Government and Housing committed itself to intensify the rectification of the poorly built houses. "The rectification of houses is a national housing programme that seeks to rectify defects in respect of municipal services and top structural defects," says spokesperson for Local Government and Housing, Vusi Tshose. Houses that were delivered before March 15, 1994, are excluded. The programme is aimed at houses that were delivered from March 15, 1994 to March 31 2002. Also the houses that were built by the Cape Town Community Housing Company in 2000 in nine different villages. Namely in Heideveld, Pylon, Railway, Newfields, Luyoloville, Philippi, Woodrigde, Mannenberg, and Town Centre. "In some of the areas, communities and stakeholders have already started engagements," says Tshose. The MEC of Local Government and Housing, Qubudile Richard Dyantyi, also wants the chapter on all unresolved housing related matters like the blocked projects, half built houses and those projects effected by corruption elements in the PHP arena. #Lyrical Base Projects will be having Every Saturday Poetry workshops at Langa Township’s Guga S’thebe community centre in Washington Street from 13:30 until 15:30. The Lyrical Base Projects are established in 2006, where the mission was to empower both women and men through the art of language. #Rosebank College will be hosting their annual Heritage market Day on the 21 September 2007 at the Rosebank College No. 44 Strand Street 7th floor, Cape Town doors open at 8:30 and closes at 15:30. Entry fee is free. There will also be a dance-off competition, as well as a karaoke competition. # Cape Town Child Welfare is seeking people, preferably under the age of 45, to become adoptive parents or emergency parents. Any stay at home mothers, with slightly older children of their own, should consider this way of making invaluable, but temporary contribution in a baby’s life. For more information contact Anne Bruce or Mandy Frieslich on 021 790 2300. #On Friday the 19 October 2007 will mark the third annual “Do IT Day” once again for a community in need. The Greater Good South Africa Trust, which implemented this initiative in partnership with the JDI Foundation, is scouring the country for thousands of volunteers to help out for just one day. Interested volunteers should visit www.DoItDay.co.za or call 021 794-0580. #The week of the aged is from the 1-7 October 2007, incorporating the International Day for Older Persons on the 1 October 2007 and ending with Grandparents day on 7 October 2007. Grandparent’s day has been celebrated globally for many years and initiated by Age-in-Action in 1996. For more information about the Week of the Aged, please call Natalie Ockhuys on 021 423 0204 or visit our website on www.age-in-action.co.za.